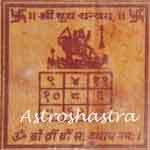 Saturn is said to be malefic if it is aspected or is associated with malefic planets or is in Aries or is situated in 1st, 2nd, 4th, 5th, 7th, 8th, 9th, 10th or 12th house. 1. Wear blue sapphire (neelam) on Saturday set in silver or iron ring or locket touching the skin after purifying it with milk and gangajai. Mantra of Shani is : 'Om shan shanacharaya namah'. 2. Wear blue clothes on Saturday. 3. Do business of articles related to Shani planet. They are : iron, black dal, oil, buffalo, black dog, black horse, machinery etc. 4. Make sabot maha dal at home. 5. Wear horse shoe ring or bangle (Kada) on Saturday. 6. Burn sarsoon (mustered) oil lamp on Saturday. 7. Apply oil (body massage) on body for 27 Saturdays. 8. Nail four iron nails on the four corners (one nail in each corner) of bed or house. 9. 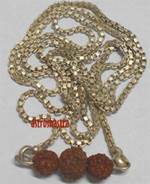 Wear ten/eleven/thirteen faced Rudraksha. 10. Keep 'siyar singhi' at home. 11. Keep black dog at home. 1. Do Shani japa 108 times daily. 2. Wear or keep at home Saturn talisman. 3. Do Shiv puja with milk or sesame seeds, do path or Sunder kand. 4. Give Saturn related articles on Saturday. 5. Visit shani temple in the evening. 6. Eat food in steel or iron vessels. 7. Give black til to ants on Saturday. 8. Make balls from dough of black maha dal and give them to fishes to eat on Saturday. 9. Give wood at cemetery. 10. Apply oil on whole body and take bath with soap for seven Saturdays. 11. Do not take or buy articles related to Saturn on Saturday. 12. Offer seven almonds and sabot maha dal at a holy place for seven Saturdays. 13. Do not consume wine or smoke. 14. Give money to a snake charmer for milk for snakes. 15. Keep 18 Saturday fasts. Do not eat salty food. 16. Prepare chapatti at home and give it to a black cow or a black dog. 17. Do not keep a black dog at home. 18. Take medicine bath with articles related to Shani medicines on Saturday. 19. To stop financial loss give some part of your food to a crow.